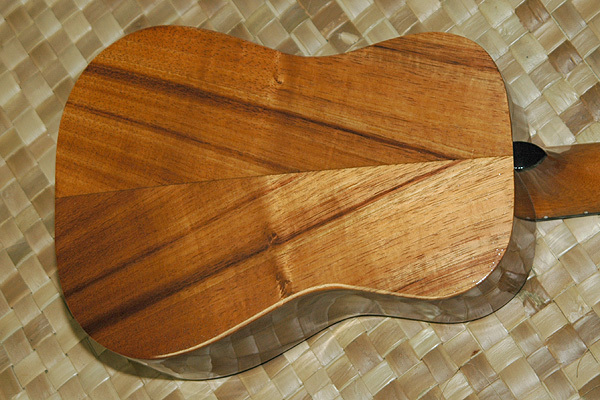 The wood grain on the back forms a V shape. 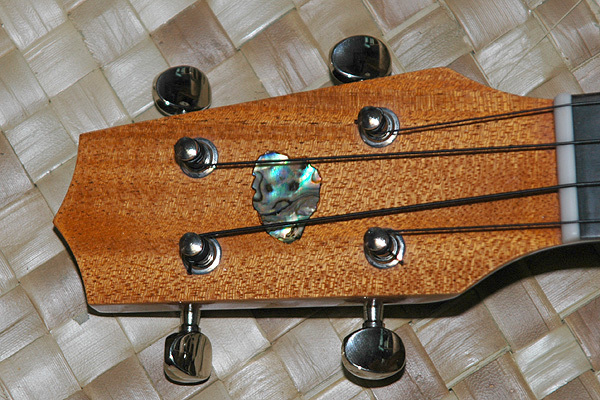 There is a slight amount of curl on the face. 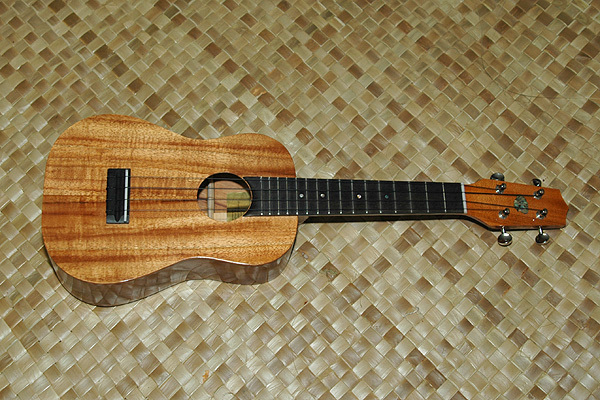 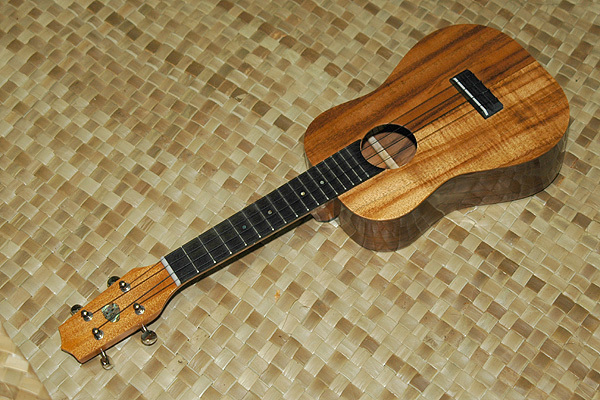 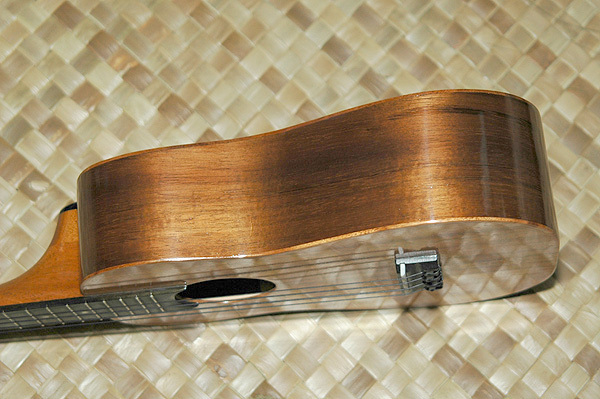 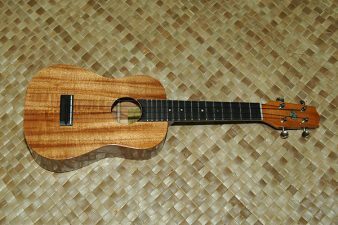 Specs- Frets : 16 / Strings : 4 / Curly : Slight / Inlay : Kauai shape on head.